Our handcrafted Mayan Secretary Desk is perfect for your cabin, studio apartment, or any small space. Design yours in the wood and stain you prefer. 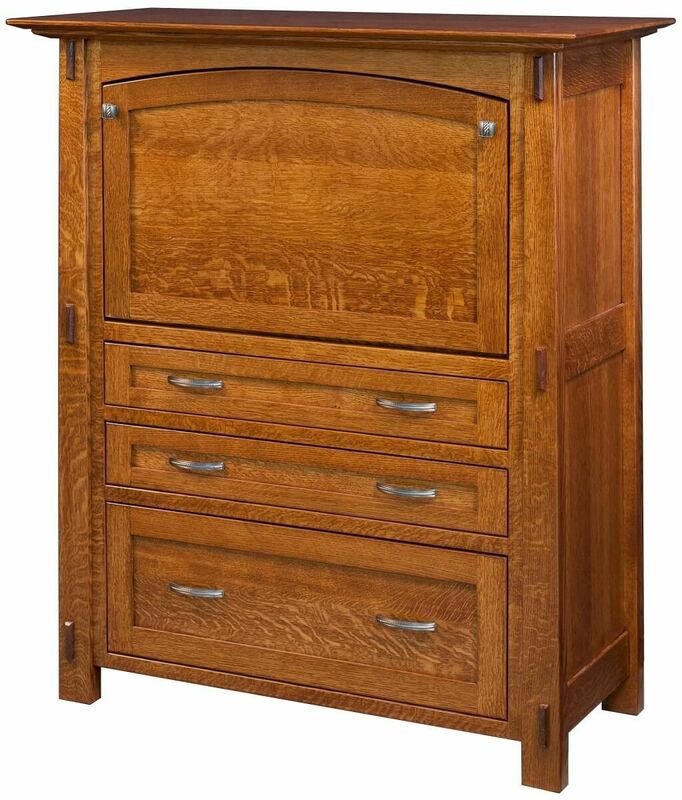 This Mission-style drop-front desk features exposed tenons, inset panels and elongated, reverse beveled ledges. 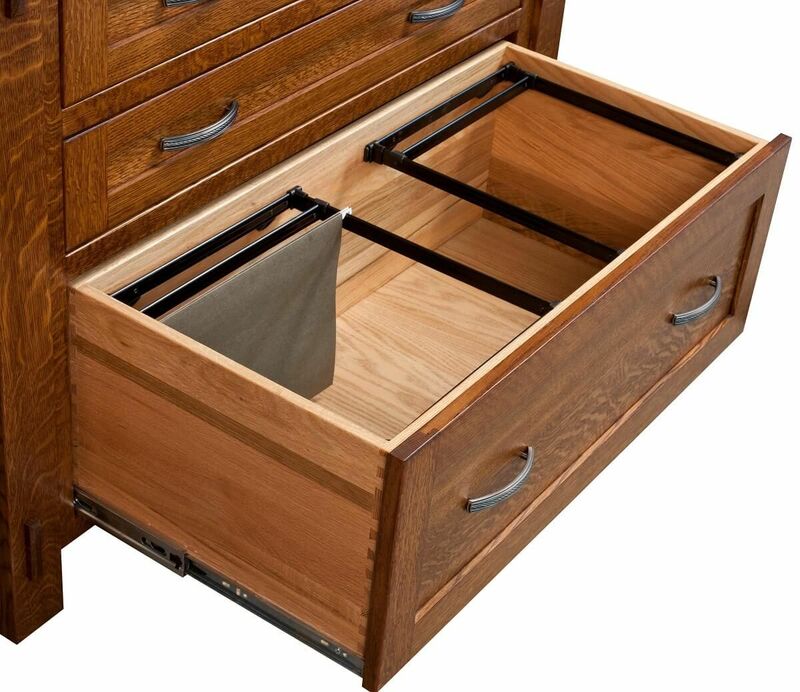 Your Mayan Secretary Desk is perfect for a small space with the hinged desk providing office storage in the back, two drawers, and the double filing system in the bottom drawer. Complete your office or workspace with a Mayan Secretary Desk in the wood and stain of your choosing. If you like the wood grains as pictured, you may want to consider Quartersawn White Oak stained in our Burnished Honey hand-rubbed finish. 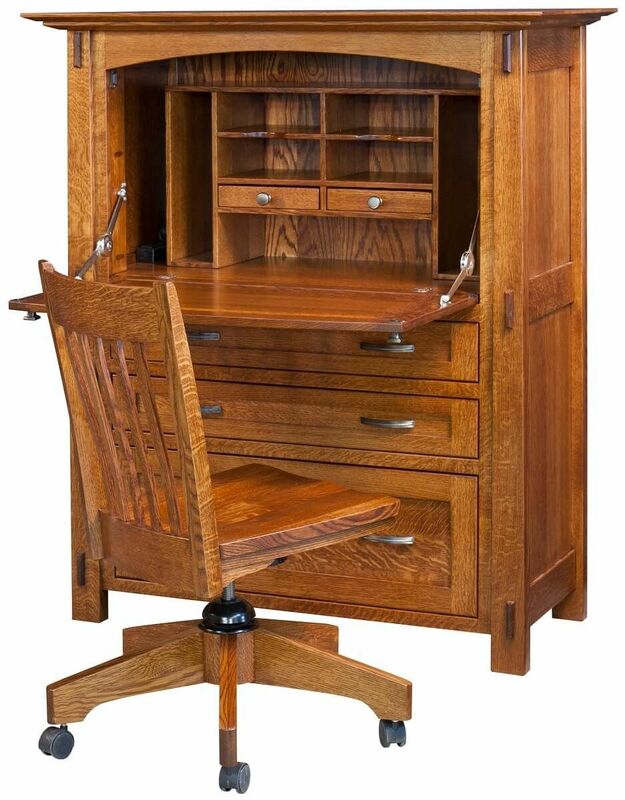 Your small secretary desk will be Amish handmade to order.